Employing craftsmen, who take pride in the finest installations. 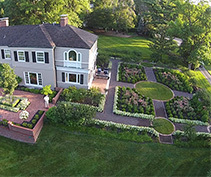 Does Landscape St. Louis charge for design services? If so, how much? As professionals, there is a fee for our design services relative to the size and scope of the project. 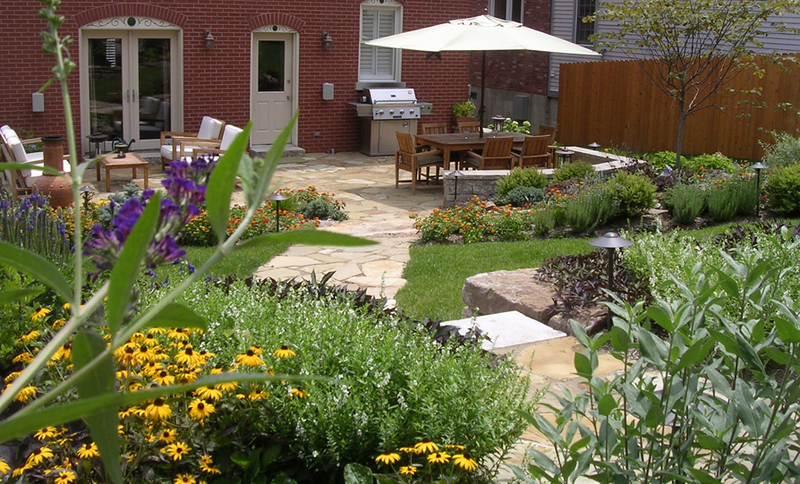 For instance, we love working on everything from simple planting designs to full-scale master plans with patios, pools, pergolas, outdoor kitchens, fire pits, fountains, walls and lighting all personalized for your project. Our process involves an initial visit to your home or business to assess the site and get a feel for your project. A customer questionnaire and design agreement detailing the project scope and costs involved is then sent for your approval. If you would like additional information on our design process or installation services, please call our design staff at (314) 781-5750. Does Landscape St. Louis have their own crews to do the installation? Yes, our experienced craftsmen will install your project with the utmost care and professionalism. Their dedication and attention to detail are largely responsible for our success. What is your process and how long will it take? 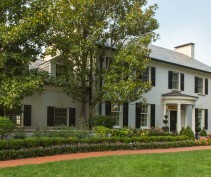 Landscape St. Louis is a design/build company, which means we want to help you from your initial client-call to the final walk-thru. After the appointment has been made our process begins with a site visit to take pictures and gather information. Before proceeding with plans, we ask our clients to sign a design agreement and fill out a customer questionnaire. 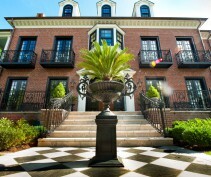 We also encourage them to show us pictures of outdoor environments that represent their personality and style. When the preliminary design and any revisions are complete we provide you with a comprehensive bid to professionally install the project. At this time we can also break the bid down into sections to give you the flexibility of phasing the project over time, if necessary. When the contract is signed we will get you on the schedule, apply for any permits needed and call the utilities to locate their lines. We will notify you of a tentative start date and communicate with you as the date gets close. During the installation process the designer, construction supervisor and crew leader work together to see your project run smoothly and safely. When the job is complete, we enjoy walking the site with you to answer questions and receive your final approval. Approximately two weeks after completion we stop by again to inspect our work and notify you of any concerns. If you have additional questions concerning our process please call our design staff at (314) 781-5750. What is the ‘Design Agreement’? 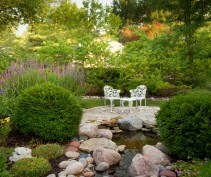 Our design agreement is a contract for design work performed by Landscape St. Louis for our clients. It lists the basic services we provide, specific items exclusively for your project, an outline of any fees and a payment schedule. We feel the design agreement is so important because it allows us to spend the necessary time communicating with clients serious about professional design services. Can our project be completed in stages? 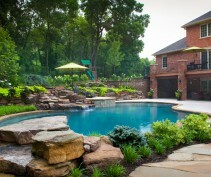 How long has Landscape St. Louis been in business and what are your qualifications? We have been helping clients create exceptional outdoor living spaces since 1987 with skilled, highly-motivated and value-driven professionals. Our backgrounds and degrees include landscape architecture, horticulture, architecture and construction. Please contact us for a list of references or with any questions or concerns you may have. Is there such a thing as a low-maintenance garden? 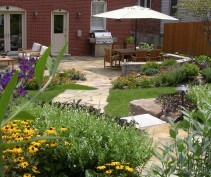 The short answer is, not really, but we will work with you to create a landscape that best fits your busy lifestyle. We can also help keep your landscape looking beautiful with our personalized maintenance service that will make you the envy of your neighbors and friends. Be sure to contact our staff about all of our maintenance services. We do not grow plants or run a garden center. We have a ‘stock nursery’ and materials yard that allows us to properly care for the plants and hold them for specific jobs. We feel this is a benefit to our clients because we can hand pick the best material from a variety of quality growers, without the worry of selling plants out of inventory.